I am sure you know what event blogging is that is why you have come to this page to learn how to rank event blog quickly in Google or any other Search Engine. 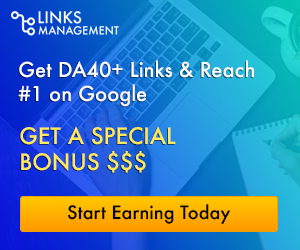 We all know that with event blogging we can earn thousands of dollars within a short time but this happens only if we are able to rank in the top 3 or 5 positions of Google for our main keyword. …I am going to explain to you my complete strategy which I have used to rank my event blog for my main keywords and some secondary keywords on the top 3 positions of Google within 2 months. Before I go into the detail, let me show you the screenshots on how well I ranked on Google. The keywords on which I have worked have moderate competition and you also have to choose such keywords which have low to moderate competition but high search volume, if you want to rank your event blog fast. My Main keyword was Ramadan Wishes. In the screenshot, you can clearly see that my site is in the top 3 positions in Google. Similarly, another keyword was Ramadan Wishes 2018. Here you can also see in the screenshot that my site is at position 1 on Google. Now, after seeing my success you want to read my article further as now you know that I am not lying. Trust me, I am going to tell you exactly what I have done to get these amazing rankings, so you can also start your own event blog and rank it on Google fast. Let’s come to the point now! You can purchase any extension like .com, .org, .info, .net, .in, .pk etc but try to purchase an EMD. No doubt, WordPress is the best blogging platform for SEO point of view and I have used it too but you can also use the BlogSpot (not much recommended) if you have a low budget as here you do not have to pay for the hosting. If you are new to this field and also have a funding problem, then I recommend you to choose Blogger. Those who say that to rank an event blog writing articles on a daily basis is a must then I must say they do not have any knowledge of SEO. Because I have hardly written 5 to 6 articles of 600+ words each and 1 main article of 1000+ words on the homepage and I have updated my blog weekly and not daily. One more misconception, people or I must say so-called SEO Experts have, that for event blog we can post spun or copied content. This is not true and will not help you in any way. You have to write unique and appealing content with multimedia on it. …the SEO (both on and off-page) for an event or short-term blog is different from a long-term blog. Always keep this in mind! You must select a single page theme as you want to rank your homepage. In WordPress, there are many free single page themes available and you can select anyone. Please Note: Only put your main quality content on the homepage which you want to rank and others should not appear on the homepage. After picking the theme I have done the following. I know that it is keyword stuffing, but as I have already mentioned that SEO for short and long-term blog is totally different. For short-term blogs, if we do not use some black hat techniques we cannot rank quickly in Google. One last thing I want to mention, always do interlinking between your posts. This will also help in ranking your site. Let me tell you that Off-Page SEO carries more than 50% weight in ranking the event blogs. Here I am going to show you step by step, how and how many backlinks I have built. Do not build all the backlinks in a single or a couple of days instead of work at a natural pace. Start building backlinks after almost 10 to 15 days of writing articles on your blog. I have built almost 50 to 60 dofollow comment backlinks. I have used different variations of Anchor Texts. I have not built these backlinks to just the homepage instead 10 to 15 links were built to the inner pages also. I have built 3 to 5 niche related forum backlinks on different forums. Here I have used only the naked URL of my Homepage. I have also built around 10-12 profile links for diversity. Here is a massive list of profile creation sites which you can use too. I have bought around 6 PBN links with exact match anchor text. One thing I want to mention, always provide your own content. I highly recommend that you write unique articles also for link building (PBNs), as this will help you more in achieving higher rankings than duplicate or low-quality content. I have posted an article on SelfGrowth and again with exact match anchor text. If you also want a dofollow backlink from this authority site then you can simply buy from here. Social Bookmarking is also good for diversity as from here you will get nofollow links which are very important for the natural backlink profile. I have built around 10-15 Nofollow Social Bookmarking Backlinks all with different titles and descriptions. Here I have done social bookmarking to some of my inner pages also. Only creating backlinks is not enough you also have to focus on indexing your backlinks as well so they help you move the ranking needle for you. How old should be the domain? The domain must be at least 6 months old if you want to rank the event blog within 2 months. Google won’t rank new sites so make sure that you purchase the domain and make it live (index in Google) at least 6 months before the event. Which platform is best for event blogging? Well, WordPress is my favorite platform and you should definitely use it. Some people also ask, can we use BlogSpot? Yes, you can but there are some limitations and it won’t perform as well as WordPress. Which domain should I use? An exact match or Branded! To be honest, I highly recommend that you use exact match domain but if you want to target your event again and again then the branded domain will be the best. Which hosting platform is better for event blogging? This is one of the most frequently asked questions when it comes to event blogging. Here I recommend 2 hostings which can easily handle millions of traffic. Now, you have a clear overview of my strategy which I used to rank my event blog in a short time. My main keyword had moderate competition and if you are also trying to rank a low or moderate competition keyword you can follow my strategy. But if your keyword has somewhat high competition then you must increase the number of backlinks until you rank. If you still have any question regarding event blogging you can ask me directly by commenting.